The plug-in hybrid McLaren P1 played an integral part in revolutionizing the hypercar industry when it was introduced in 2012 at the Paris Motor Show. Now, exactly five years later, the British supercar maker is celebrating the historic anniversary of one of the most potent vehicles on the planet. The goal for McLaren was for its P1 to be the best driver’s car in the world, both on the road and the track, says McLaren. A spiritual successor to the F1, the P1 helped redefine the segment with a 3.8-liter biturbo V8 producing 727 horsepower (542 kilowatts), and an electric motor producing an extra 177 horsepower (131 kilowatts), bringing the total output to 904 horsepower (674 kilowatts), and allowing for a top speed of 217 miles per hour (349 kilometers per hour). But the P1 is more than just a speed freak, it’s an engineering marvel. Like most modern supercars, the P1 was designed in a wind tunnel, using CFD – or computational fluid dynamics – during modeling and testing. At speed, the P1 is capable of producing 1,322 pounds (600 kilograms) of downforce, even well below its 217 mph (350 kmh) top speed. 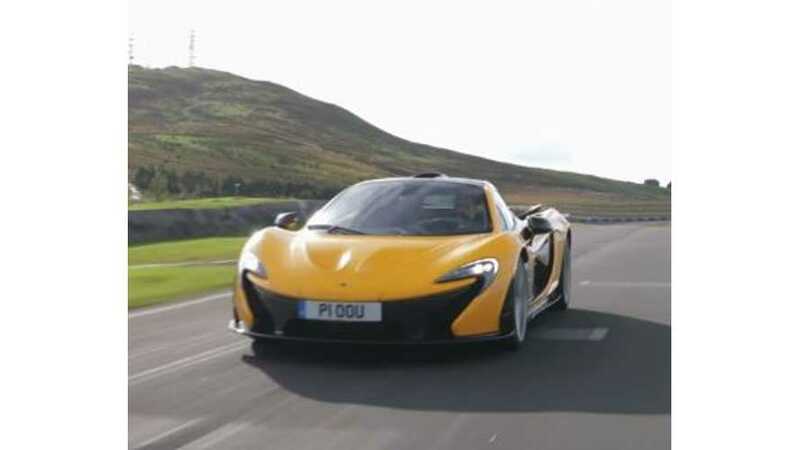 "The McLaren P1 is the most exciting, capable and dynamically accomplished supercar ever and a showcase for McLaren’s innovation and technology," said CEO Mike Flewitt. "Absolute top speed was never the priority; we set out to develop a car that could be driven to a racing circuit and at the press of a button be the fastest-ever series production car on the track, which is a much more important technical statement and of far greater relevance to on-road driving." While the $1.15-million hypercar may be sold out, don’t think McLaren doesn’t already have a successor planned. Today the company showed a first image of the BP23 prototype, which will reportedly be the "fastest McLaren ever," and will come with an F1-style central seating position when it debuts. The BP23 will ship to customers in 2019, with all 106 examples already accounted for.